It’s almost spring. You can just feel it…kind of. Whether winter weather has officially got you down for the third consecutive month in a row or you’re feeling like you want to squeeze in one last snow adventure before the season ends, it’s time for you to get out of town. We’ve scoped out the best opportunities to ditch the purgatory that is March and eat, drink and soak up some sun or slopes—and some culture—which should have you in better spirits in no time. Here, our five favorite places to travel this month. If you haven’t been skiing or romped around in the snow yet, well, what are you waiting for? March serves as one of your last chances to get in on the season, and way up north—just 90 minutes south of the Canadian border with Quebec—there are plenty later-in-the-season winter weather fun times to be had in the White Mountains of New Hampshire. First and foremost, you can ski the never-crowded local favorite Wildcat and/or the family-friendly Loon ski resort. But before hitting the slopes, we’d suggest starting your trip to this quiet, relaxing part of the world with an afternoon at the Mt. Washington Auto Road, which was built in 1861 as a carriage route to the top of the mountain and holds the record for being America’s first man-made attraction. Weather permitting, you can take a snow coach tour from Great Glen Trails up to the summit and even jump out along the route to hike a bit of the trail and take pictures, highly advised since every frame of your camera promises to be filled with the stunning natural beauty of the Presidential mountain range. Next, hop over to Nestlenook Farm, one of the cutest places to do some ice skating, hands down, ever. The man-made lake is centered around a white arched bridge and warming hut with a fireplace for toasting your toes. Horse-drawn Austrian sleigh rides are also available around the Victorian winter wonderland estate, and there’s even an option to sip some Champagne along the ride. When your belly starts to rumble, the options in the White Mountains might seem somewhat limited—being that it’s surrounded by National Forest and all—but that doesn’t mean they aren’t tasty. One of the best French onion soups you’ll taste can be found at The Wild Rose, located at Stonehurst Manor, a historic estate that also boasts a cozy bar centered around a fireplace. Where to stay: The Glen House is the White Mountains’ latest and most sophisticated option. 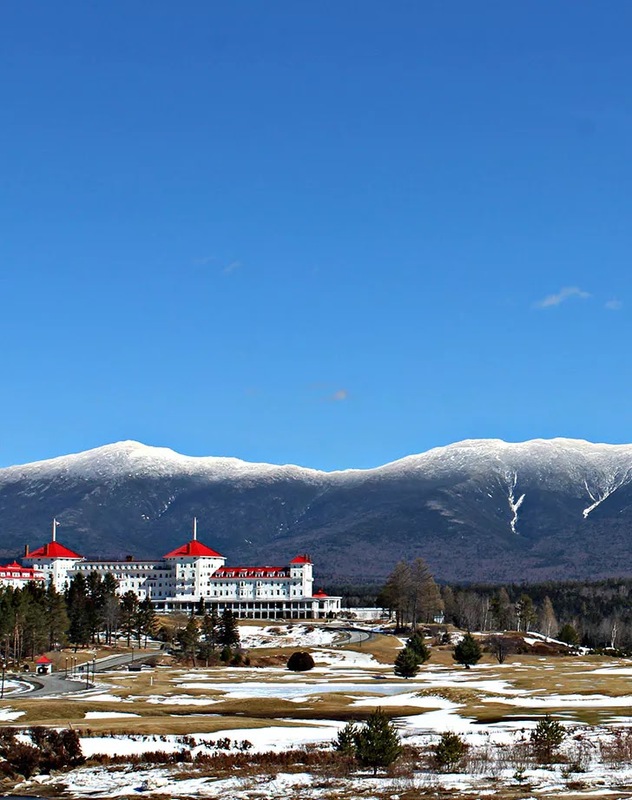 Here you’ll find comfortable, contemporary rooms, many with picture windows that expose the incredible Mount Washington views, plus a communal vibe at night that’s centered around après skiers and diners alike looking for a good bite and a buzz. Whether you stay there or not, a meal at the property’s popular Notch Grille is a must, where they serve up classic mountain fare like beef chili, burgers and steak tips as well as more refined dishes like seared scallops and a beef Bourguignon, too. The beautiful fire pit outside serves as a perfect spot to enjoy an aperitif or post-dinner drink, and the indoor heated saltwater pool will help you burn it all off the next day. This seaport city on South Carolina’s coast oozes Southern charm. 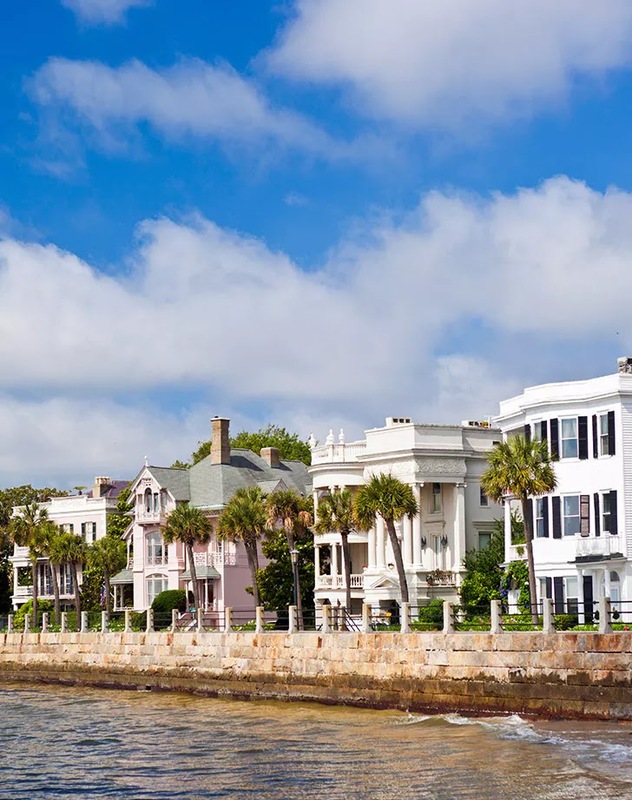 Its palmetto-lined streets, waterfront promenades, historic mansions and cobblestone streets will draw you in, but its exciting art and culinary scene and its Southern hospitality will make it one hell of a vacation. Our perfect day? Brunch at Hominy Grill, a visit to nearby Boone Hall Plantation—where countless movies have been filmed and where Blake Lively tied the knot with Ryan Reynolds—followed by an afternoon or happy hour brew at the Bay Street Biergarten and a fancy dinner at a Charleston institution like FIG or the Charleston Grill. Mild temps make Chuck Town pleasant this time of year, which is reason enough to go, but it’s also the start for springtime blooms with colorful camellias, pink tulip trees and wisteria vines blossoming throughout downtown and inside city parks. Plus, the Charleston Wine+Food Festival and Charleston Fashion Week events both take place in March. Where to stay: Belmond Charleston Place. This elegant hotel in the heart of downtown was built to fit in among the 18th-century buildings that surround it in the city’s historic district. With the City Market steps from the lobby and tourist attractions, antique stores and galleries nearby, not to mention an upscale mall attached to the Belmond and shopping mecca King St. just steps away, it’s the ideal location for sightseers. While the Belmond is certainly worth the splurge, if you’re on a budget, stay at the all-suite-style Springhill Suites by Marriott Charleston, which overlooks a marina and is a short (and cheap!) Uber ride away from all the action. 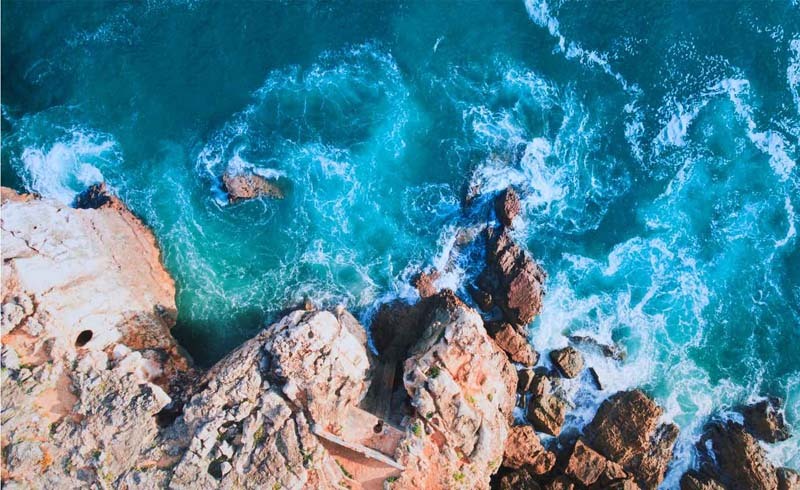 On Mexico’s gorgeous Riviera Nayarit, about 30 miles north of Puerto Vallarta, you’ll find Punta Mita, a relaxed Pacific beach town on Banderas Bay known as a haven for both surfers and fishermen alike. It’s also a top draw for its spa scene and golf options. Just north of Punta Mita is the more laid-back, boho village of Sayulita. 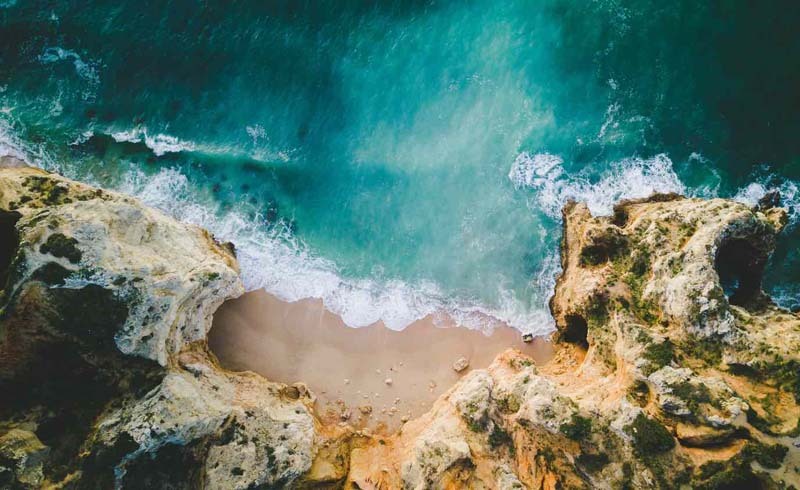 Home to charming boutiques—La Hamaca, Manyana and Revolución del Sueño—and some of the area’s most popular beaches, the quaint surf town is a must-see. Temps are always high in Punta Mita, but March is its coolest month, so guests can expect pleasant, warm weather. Plus, the official whale-watching season runs through the end of March, so your chances of seeing humpbacks as they migrate back to warmer waters ain’t bad. 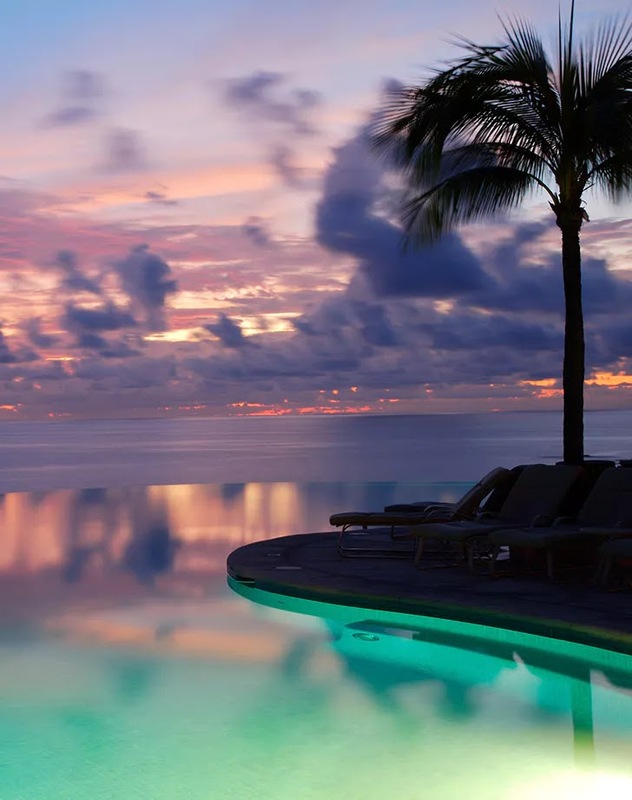 Where to stay: W Punta de Mita. Situated on one of the best surf breaks in Riviera Nayarit, this colorful and chic beach resort is stylish—each of its 119 guest villas features artisanal Mexican tiled floors, festive furnishings and surf-inspired local artwork—with top-notch amenities, an amazing beach and excellent dining options. 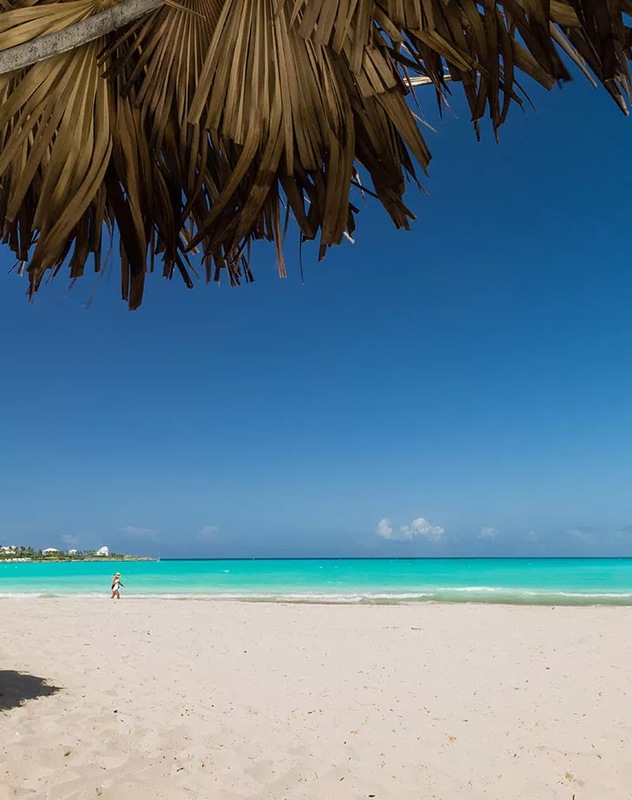 OK, so you may already recognize this place as the location of the failed Fyre Festival, but don’t let that detract from its natural beauty. Producers of both documentaries on the subject noted that Great Exuma is the largest and most populated of the Exumas, an archipelago in the Bahamas—and where Fyre took place after it couldn’t make it work on the “Pablo Escobar” private island—but what they failed to mention is that it’s still filled with natural, rugged beauty, plenty of relaxation and spectacular boating opportunities. Since Fyre Fest tarnished this amazing island’s reputation, there are great deals to be had (and also great ways to support the local economy without exploiting its people). In fact, Great Exuma really should be your home base for seeing the rest of the smaller, hard-to-get-to islands that make up the Exumas. Flights in March are unseasonably low, as are low season rates on hotels and private boat rides, a must if you visit the island. Our other musts: A meal at local Caribbean haunt Shirley’s, where conch, the local specialty, can be found at its finest. Day-tripping to Pig Beach isn’t a bad idea either, though be warned—the pigs can be a little aggressive. Where to stay: The best hotel located on the best strip of land on the island, Emerald Bay, is Grand Isle Resort & Spa. The vacation-style villas that make up this property equate to expansive accommodations, all with unique decor and many with their own large patio and soaking tubs. The hotel recently opened a new Beach Club, 23 North, part restaurant, part bar, part event space—all surrounding a gorgeous pool overlooking the bay with plenty of day beds, cabanas and loungers for the most discerning of guests. If you’re more of an adventurous traveler, Grand Isle also offers a shark tagging program with a leading marine biologist that lets you get up close and personal with tiger, hammerhead, nurse and reef sharks for a $500 donation toward their preservation. It’s definitely not the warmest destination on our list, but Columbus is having a moment. What it lacks in weather, it certainly makes up for in culture. 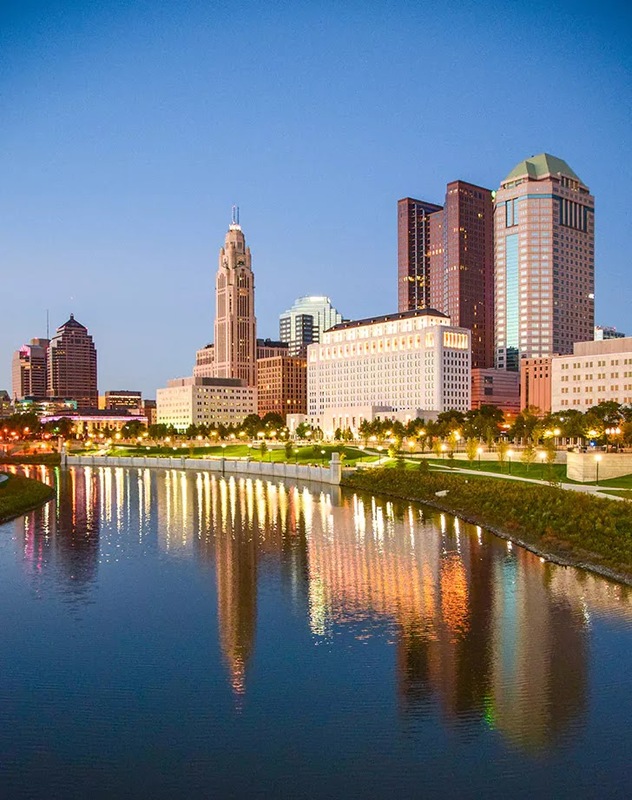 More than just home to Ohio State and its Buckeyes, the capital city has an unexpectedly diverse restaurant and bar scene, charming and walkable historic districts and an exciting arts scene. These are must-tries for foodies: The Pearl, The Gild House, Katalina’s, Fox in the Snow and Skillet. For beer lovers, it’s also overflowing with new breweries. While there is plenty to do in Columbus itself—the Columbus Museum of Art, an architecture bus tour, Franklin Park Conservatory and Botanical Gardens—if you time it right, you can also visit nearby Dublin, Ohio, which goes all out for St. Patrick’s Day with one of the best celebrations of the Irish holiday in the U.S.
Where to stay: Hyatt Regency Columbus. The best part about this contemporary, downtown Columbus hotel built in an atrium style is its location. It’s a short walk to the trendy and popular Short North Arts District, the lifeblood of Columbus’s cool. The 633-room hotel also gets high marks for value and service.